Five IAF personnel, including two pilots, and two army men were killed when the Mi-17 V5 medium-lift chopper crashed and burst into flames on Friday near Tawang. 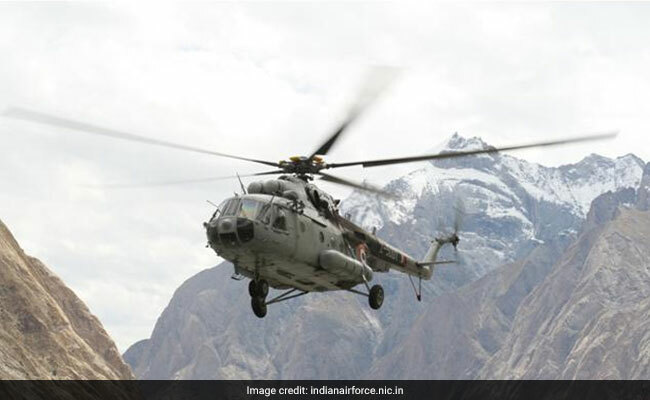 Hindon: The Mi-17 helicopter crash in Tawang, killing seven military personnel, may have been caused due to disengagement of the chopper's tail rotor, Air Chief Marshal BS Dhanoa said today. "Prima facie it appears that the tail rotor of the chopper had come off. It will not be proper for me to say why it came off as a court of inquiry has already been ordered to probe the crash," the IAF chief said. The IAF chief also paid homage to the seven military personnel killed in the crash. Air Chief Marshal Dhanoa said there was no technical problem in the engine of the aircraft as the Mi-17 V5 fleet is still flying. "I think there is no problem in the machine as the chopper is flying even today," he said. The Russian-manufactured helicopter was carrying supplies to a forward post of the Indian Army in the mountainous region near the China-India border. Earlier, in a message published in an IAF booklet, Air Chief Marshal Dhanoa said IAF's assets are scarce and expensive and the force cannot afford to lose them on account of any "careless, ignorance or unprofessionalism." "Supervisors are entirely responsible for the safe and professional conduct of operations and must involve themselves wholeheartedly with the task at hand," the IAF chief said in the message dated September 10. The booklet, featuring feats of award winning air warriors, was released today. The Mi-17 V5 is a Russian built medium-lift military transport chopper. An Advanced Light Helicopter of the IAF had crashed at Saglee in Papum Pare district on July 4, claiming the lives of of all four on board.